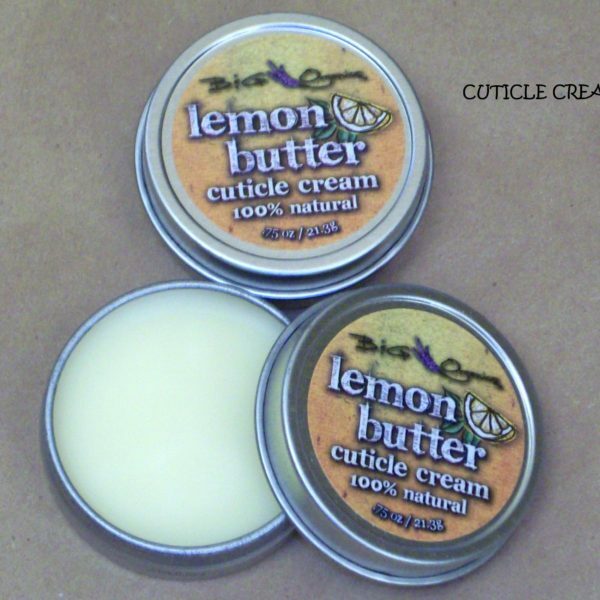 B & G Organics Lemon Butter Cuticle Cream has tremendous natural, nourishing, healing, and protective benefits. We use a Proprietary Sunflower Seed oil blend with Vitamin E as an ingredient. This blend helps to retain moisture in the skin and helps to protect cuticles. Sunflower Seed oil contains appreciable quantities of Vitamins A,D, and E.
Coconut oil is a unique plant based substance that is solid and white at room temperature , but melts into a clear oil. This oil is very good at hydrating the skin. It sinks in deep, conditions, moisturizes, and softens the skin and cuticles. Coconut oil naturally clears away dirt, grime, and dead skin cells. Coconut oil is the all in one natural solution to all your skin and cuticle problems. Beeswax is a natural wax produced in the bee hive of honey bees. The wax is formed by the worker bees. It is estimated that bees collectively fly 150.000 miles , roughly six times around the world to yield one pound of beeswax. 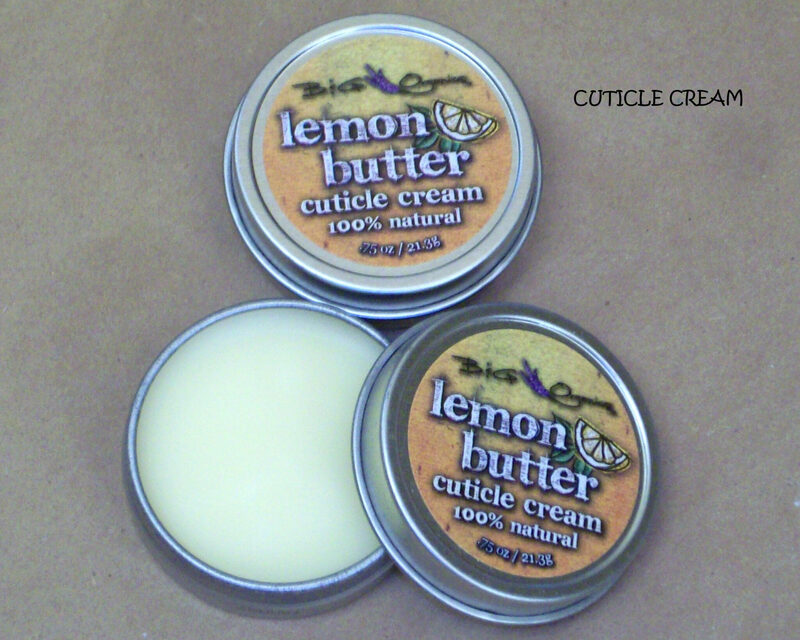 Beeswax is superior to similar barrier creams when used as a base for products such as Cuticle Cream. Vitamin E has sometimes been described as the “lightening rod” of the cell, allowing reactive molecules to strike the cell, like lightening, without causing damage. This “lightening rod” function of Vitamin E is particularly apparent in the case of the skin, since Vitamin E directly protects the skin from Ultraviolet radiation. In numerous research studies , Vitamin E applied topically to the skin has been shown to prevent UV damage. Almond Oil is acquired from dried almonds through a process called cold pressing. The good thing about using this skin care product is the benefits derived from its vitamins such as E, A, and D. It is also rich in oleic and linoleic acids. Almond oil has benefits such as moisturizing properties, anti-inflammatory properties, emollient properties, removing dark circles, reducing wrinkles, and sun protection. Mango Butter is possibly the healthiest and most caring solution for the skin. It has the bursting power of fruit to it that when it comes in contact with the skin, it deeply hydrates and nourishes it. Mango Butter is highly emollient, softening, and soothing to the skin. Mango has protective effects against UV radiation and also helps treat skin rash, eczema, insect bites, and poison ivy. Mango Butter can help protect and heal skin from the damage caused by sunburn and frostbite. Mango Butter can be used to soften, heal and regenerate skin tissue. Lemon oil. The health benefits of Lemon oil can be attributed to its stimulation, calming, carminative, anti-infection, astringent, detoxifying, antiseptic, disinfectant, sleep inducing, and anti-fungal properties. The benefits of lemon oil include its ability to treat stress disorders, fever, infections, asthma, obesity, insomnia, skin disorders, hair conditions, stomach problems and tiredness. Lemon oil is a good remedy for increasing the luster of dull skin. Its anti-septic properties help in treating pimples and various skin disorders. Lemon is also recommended for reducing excessive oil on the skin.